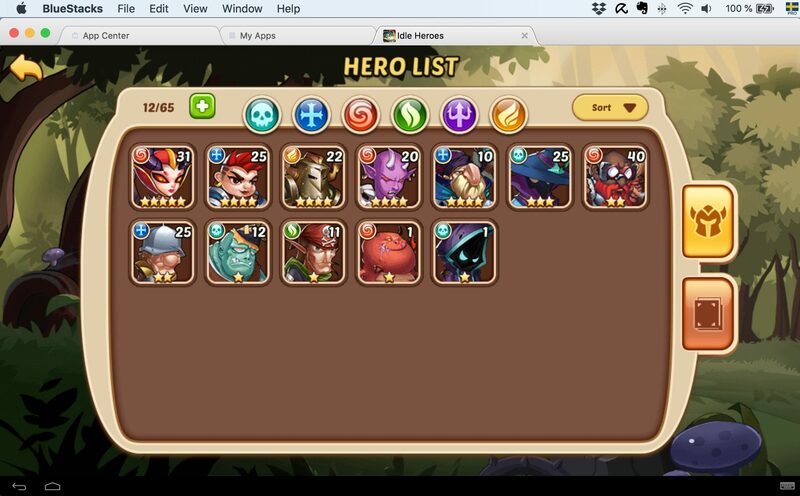 Idle Heroes is, no doubt, a very vast and complicated game. It’s easy to get overwhelmed when first starting out, but don’t despair, we’re here to help you. If you stick with it, you’ll get a hang of everything soon enough and you’ll be rewarded with a very interesting and fun game! The first time you play, you’re forced to complete the initial steps in a certain way and the rest of the content is locked (so much for free will, huh). This kind of hand-holding in games is usually not our cup of tea here at BlueStacks, but there’s a very lovely lady guiding us so lets make an exception! 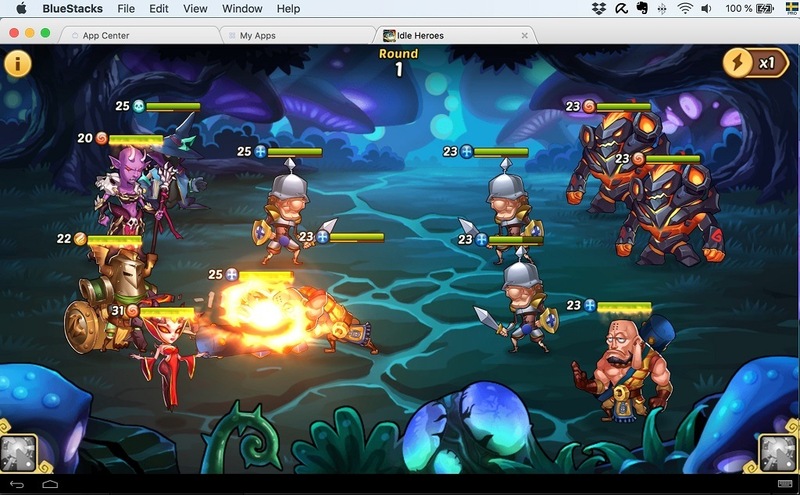 As you might have guessed, this game is all about heroes (the “idle” part refers to the free loot generated from auto-battle while you’re sleeping, as well as you being a couch potato). Heroes range from one to five stars, which basically refers to their base stats (Health, Attack, Defense, Speed), as well as their special abilities. Your end goal should be to have a team consisting solely of 5 star heroes, as these (fully leveled up) will always be stronger than heroes with a lesser amount of stars. You get two free heroes starting out (one basic, one heroic), but check back regularly to claim more! Each hero belongs to one of six factions. We didn’t get the impression that the factions matter very much, but you’ll get certain minor bonuses if all your heroes belong to the same faction. Our general advice would be to prioritize better heroes over having just one faction though. Now that you have your first team of heroes, it’s time to start slaying enemies and earn yourself some loot! This is done by entering the Campaign, where you get to fight your way through different worlds, each made up of 10 levels. The first levels are quite easy, but before jumping headfirst into something you might regret, make sure your heroes are prepared for battle. 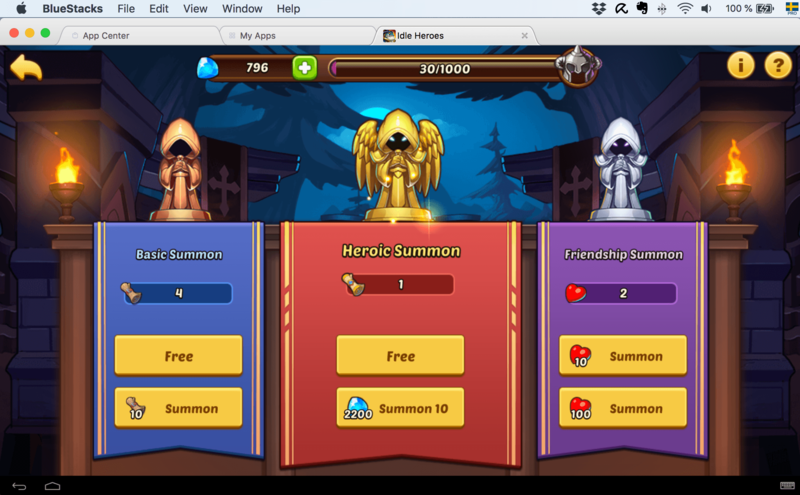 Click the Hero icon, and go through each of your heroes in the list and level them up as much as you can afford. This will cost gold and spirit, but will make your heroes much stronger. Don’t just level up one hero though, try to distribute the upgrades so that they don’t get jealous of each other! The guy on the bottom right knows that defeat is imminent. Each battle lets you bring 6 heroes to the fight, with 2 of them taking place in the front (taking more damage) and 4 being placed in the back (dealing more damage). So put your highly armored heroes in the front and those dealing the highest damage in the back. Winning battles earns you loot, ranging from new equipment for your heroes to new items. Equipment boosts your heroes stats, while other items have a variety of different purposes. As soon as you win new equipment in battle, don’t forget to equip your team so they deal more damage, get more health or gain more speed! If you have leftover low level equipment, you can take it to the blacksmith and forge new, more powerful items. This will set you back some gold, but can definitely be worth it! 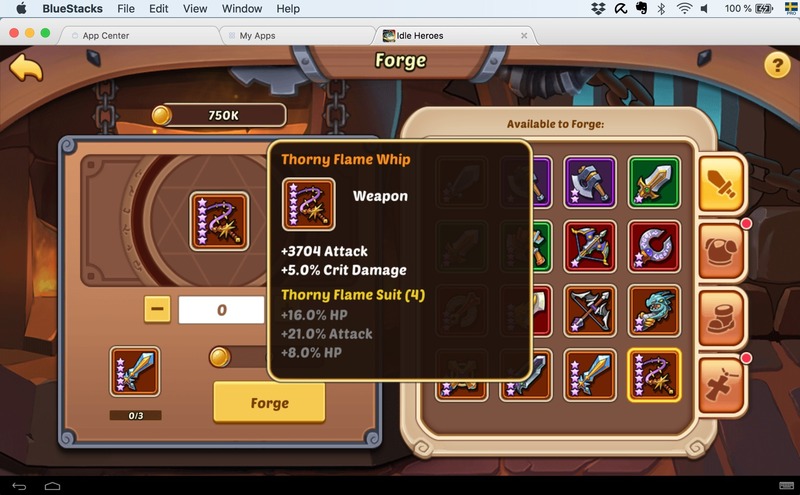 Because let’s face it, who wouldn’t want to beat their enemies into submission using a “Thorny Flame Whip”, one of the high tier weapons found in the blacksmith? As with most things in life, you have to put in the hours doing the grunt work before getting somewhere interesting. Most of the game’s content is locked from the start, but new, interesting places appear regularly the more you level up. This joy of constantly discovering new content is one of our favorite parts about this game. This is a very popular game at the moment, so you can be sure that there will always be many fellow players online. You should send as many requests for adding new friends as possible when first starting out. If they accept, you can send hearts to each other (this might seem a bit too friendly for some), which can be used to summon heroes. 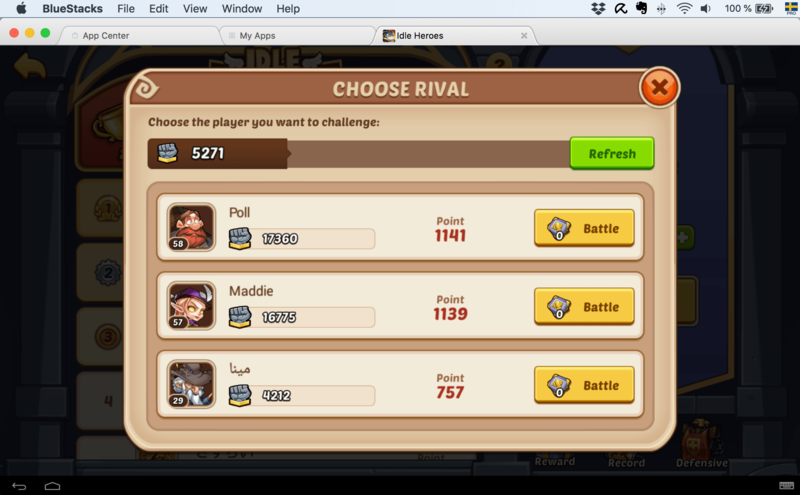 If, like us, you love to test yourself against other players, head over to the Arena and join one of the PVP leagues. This is another fine (and fun) way to earn items and other rewards, apart from the joy of beating others. Always pick the weakest opponent for a guaranteed power trip! Finally, make sure to become part of a guild to take on the very toughest of enemies together with your allies! As with all freemium games, the question always arises weather it’s a Pay2Win game or not. We usually buy at least something small in free games we enjoy in order to support the developers, whether it’s necessary or not. But each to their own! 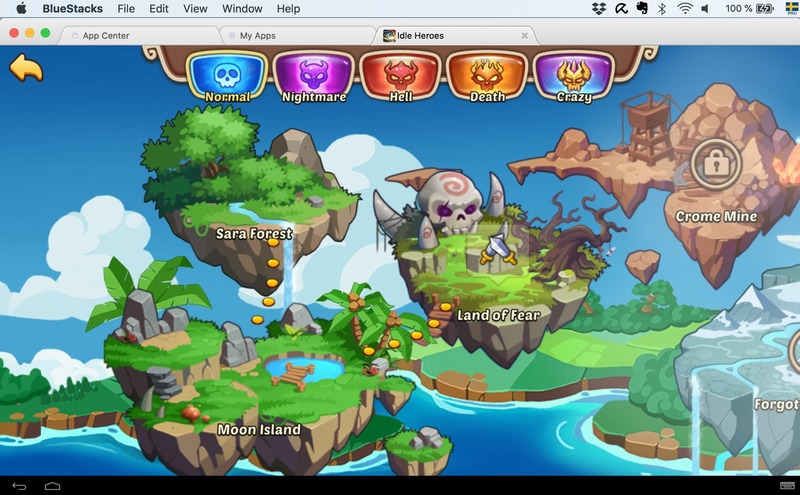 The basic idea of the game is to buy gems, one of the major currencies in the game. 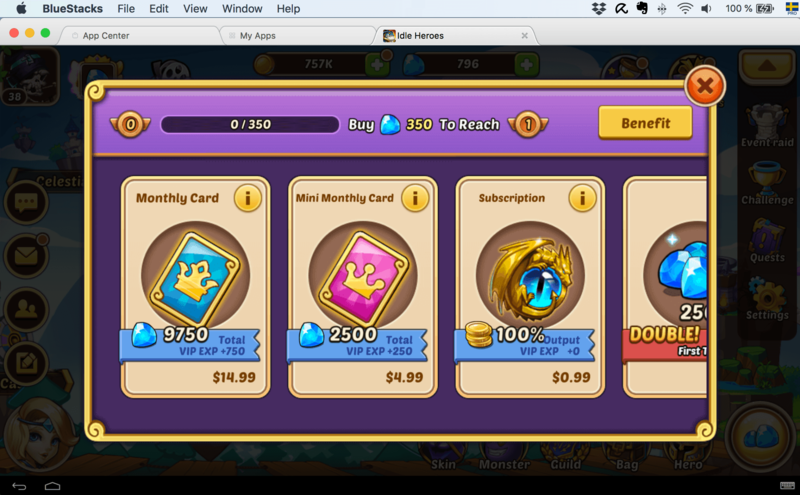 Buying enough gems earns you VIP status, which in turn gives you various bonuses, especially the first 3 VIP levels. And, most importantly, you get to show off your VIP status to other players in the chat! VIP status is not transferred between servers though, which is something you might want to keep in mind before clicking the “Buy!”-button. 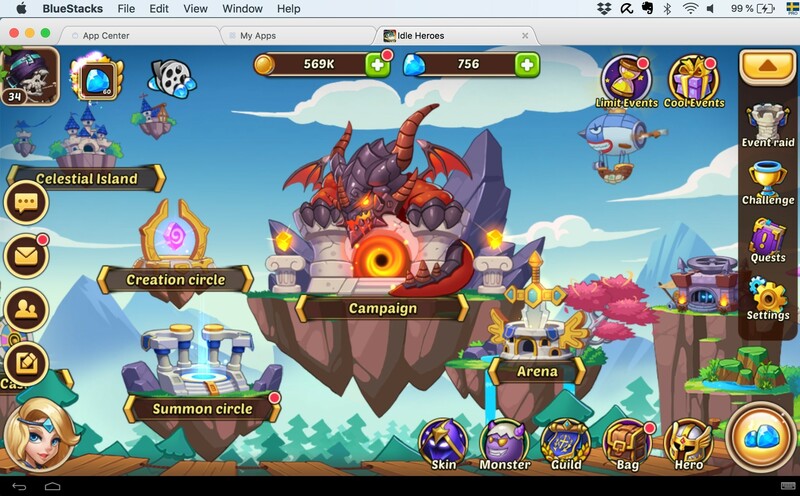 We will come back with many more guides about Idle Heroes to help you get the most from the game. Until then, let us know if you enjoyed reading this guide. Were we able to get you excited about the game?